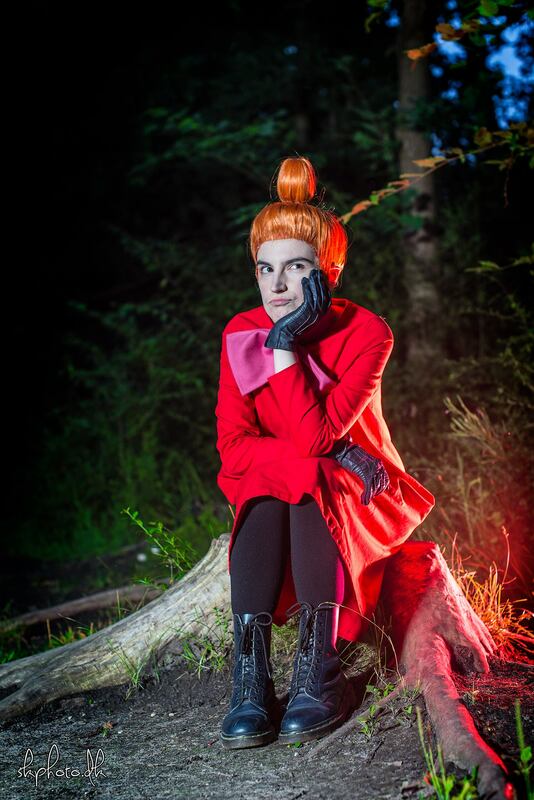 It's a cosplay showcase double whammy, as we've compiled together August and September! With so many summer conventions around we knew there would be an influx of some awesome new cosplays- and we were not disappointed. 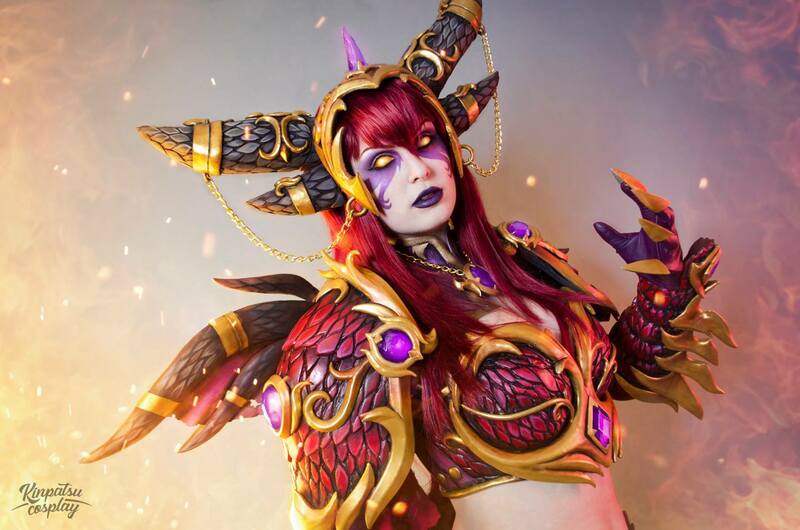 To kick off we have Kinpatsu Cosplay in her incredible Alexstrasza (World of Warcraft) cosplay designed byZach Fischer Illustration. Made with a variety of materials from EVA foam and worbla, to Thibra and resin. And not that it needs anything else to make it incredible, but she also put this together in under two weeks! Ready for a 90's throwback? If you don't know these guys already, Snufkin and Little My are characters from Swedish novels by Tove Jansson, that were later made into a stop motion television series called The Moomins, and later remade as an anime version called Moomin . Lone wolf Snufkin and his half sister Little My are recurring characters in the stories that take place in the Moominvalley. The great thing about cosplay is there are so many character possibilities at our finger tips with new anime, film, games etc being released all the time, but throwing back to a little nostalgia is also great fun! 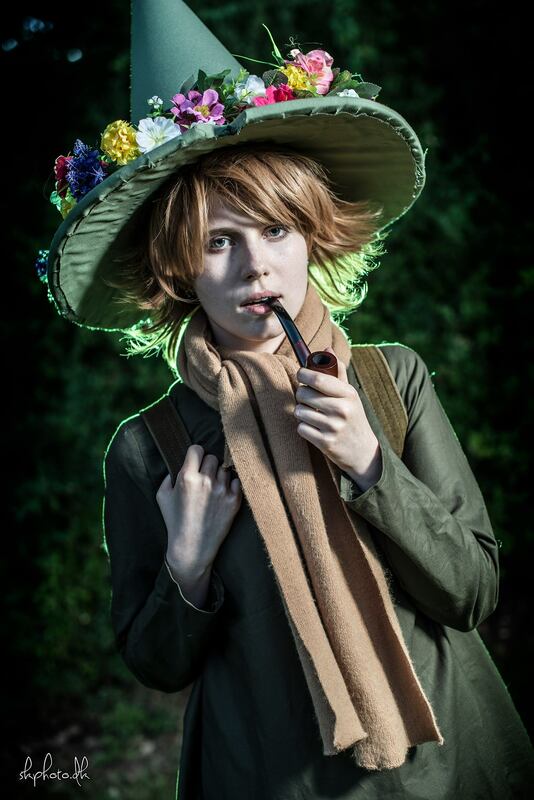 Partners Patricia Bouton (Little My) and Kristine Sawicka Hjortholm (Snufkin) look fantastic in these cosplays, Patricia channels Little My's not-so-little attitude so well, and her super high bun styled wig is perfect. Kristine has Snufkin's sombre personality down to a T, and we love the shape of her hat and the cute flower detailing. Next up is M42SC Cosplay in her Lucio (Overwatch) cosplay. 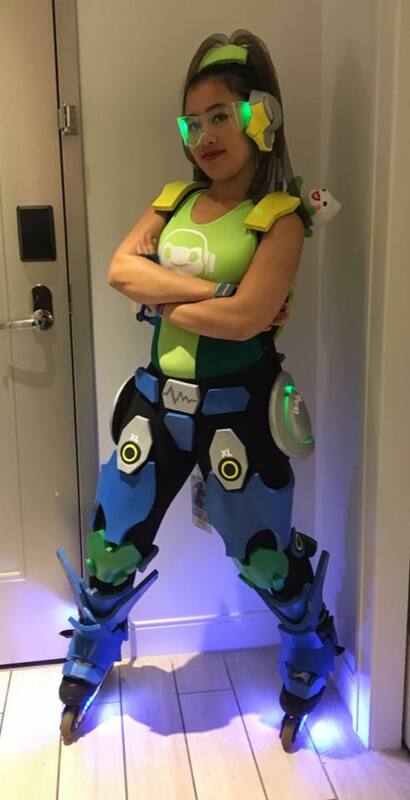 We think she absolutely nailed this Lucio with her sturdy foam work, smooth paint job, and small details like the use of bouncy tubes to replicate Lucio's bouncy locks. She didn't only use her cosplay skills for this costume though. Rollerblading for ten years meant that M42SC could REALLY get into character, and made full use of her gift with some slick rollerblade dance moves at a recent convention- videos on her page! To make sure she could have optimum use of her light up blades, she decided not to include all of his leg armour so that she could move more freely, and it's safe to say that paid off. Not only did her blades have a track of lights, but her hip guards and glasses included LED lights, for a full on human-disco experience! This incredibly detailed Satine (Moulin Rouge) costume was made byCosplex for the ECG Finals in 2014 but was recently bought out for this great shoot and a little acrobatic action! The costume- hand beaded with thousands of crystals, and beads, and stars, and other beautiful shiny things- came first in the Solo category in the finals. If you go to her page you can see the hours and hours of work from sketching patterns of the bead designs, cardboard hat templates, leather moulding, more beading, shoe beading, and lots more beading. Definitely a labour of love and one that certainly paid off! Ready for some more cosplay armour magic? 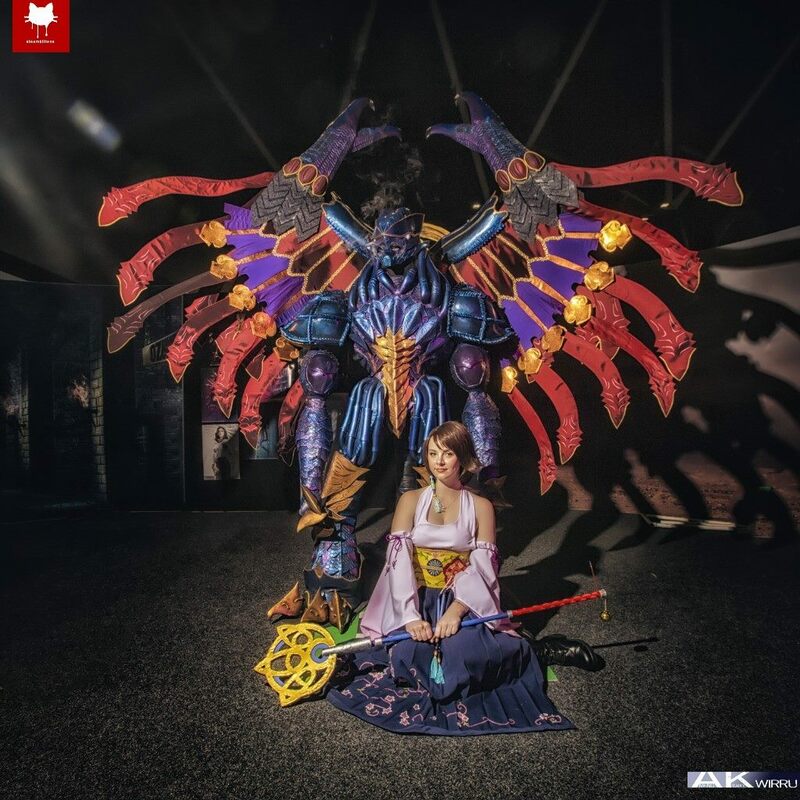 AmenoKitarou (A.K Wirru) as Bahamut from Final Fantasy X. Since we first spotted this build we have been eagerly awaiting it's completion to be able to share it, and the wait has been worth it! The main structure of the costume was made with EVA foam and then detailed with leather. After what looked like thousands of paper and card stencil, each piece of leather was intricately patterned, embossed, carved and moulded. Honestly, we could feel Wirru hands aching through the screen. But it's not all hard materials, the wings are covered with an incredible purple to blue fade fabric and sewn on before the painting of the leather even started- check out his page if not just to look at that fabric up close, it's mermaid realness. Overall we're pretty blown away but the dedication and incredibly beautiful aesthetic that is this costume. Wirru will be representing Australia at C2E2 in the Crown Championships of Cosplay. 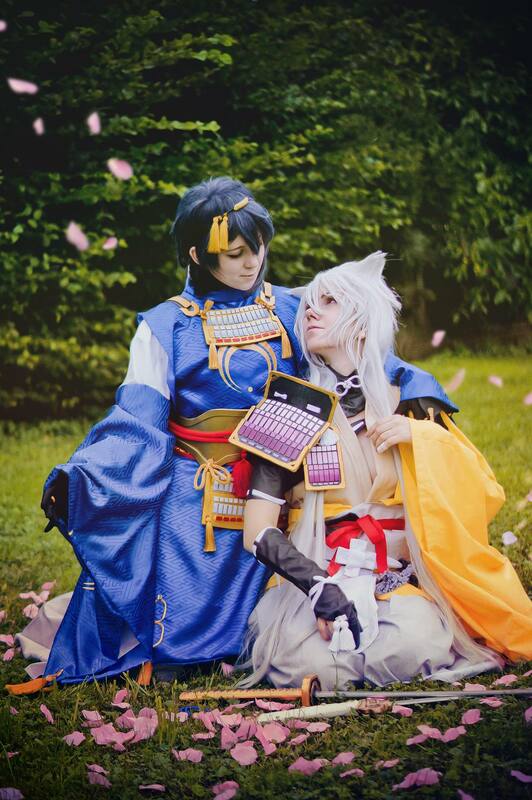 Last but most certainly not least on the cosplay showcase we have another cosplay pairing. Touken Ranbu, video gamed turned anime, hosts a big collection of great costumes, and the historical-swords-turned-human-warrirors host some of the best. Kairi (left) as Mikazuki and Dorian Makbeth (right) as Kogisunemaru chose two of these touken danshi to cosplay, as with most anime styled games, the swordsman are the most handsome of humans, and we think Kiari and Dorian pulled them off perfectly. We love the mixture of colours, and textures in both of these costumes, and love how the contrasting orange and blue's work together. Photography by Photoruru edit by Kairi. 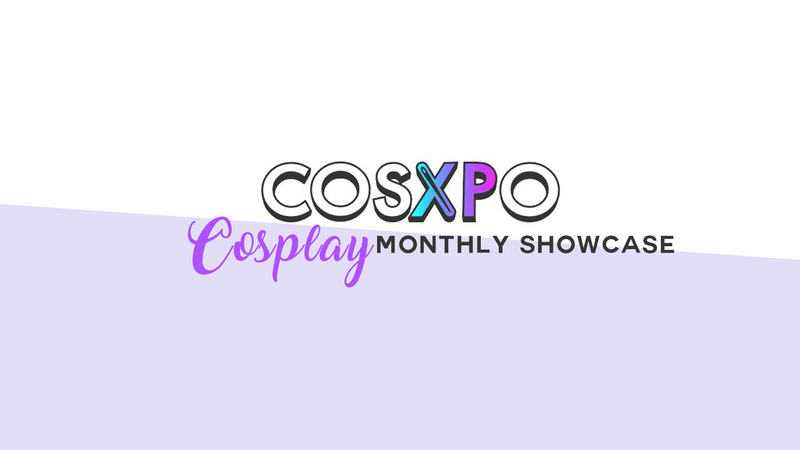 Keep an eye out for next months showcase, and in the meantime, take a look through our previous months on the CosXPo blog.